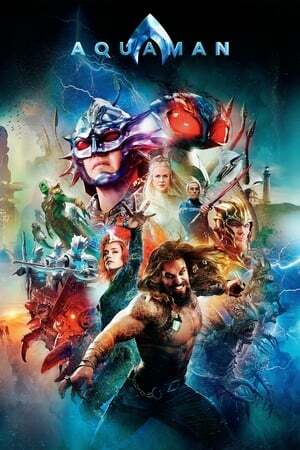 â€œAquamanâ€� (2018) is a colorful superhero flick featuring a flashy action scene for every 5 minute lull. Itâ€™s reminiscent of â€œThorâ€� (2011) and â€œThor: The Dark Worldâ€� (2013), but with spectacular undersea realms instead of Asgard & realms nearby. Yet the drama was better in those movies whereas here it feels like the creators were in a rush to jump to the next action sequence, which might make â€œAquamanâ€� â€˜thrilling,â€™ but less compelling story-wise. Still, itâ€™s very eventful with loads of energy (maybe TOO eventful for its own good). And I liked the balance of underwater scenes to surface scenes with spectacular locations, including the Sahara Desert and Sicily. Meanwhile Amber is stunning as redheaded Mera. Even Nicole Kidman shows up as Arthurâ€™s mother, Atlanna. Speaking of Arthur, Momoa is magnificent as the protagonist and will forever change the publicâ€™s generally weak perception of Aquaman.